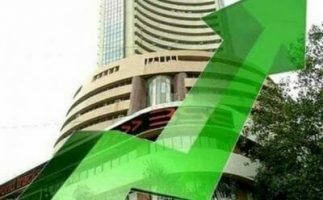 SENSEX crossed 38,000 for the first time ever on 9th August and the NIFTY also closed in on 11,500 levels as markets kept hitting new highs on a regular basis. The broader markets which took a beating over the last few months with many smaller companies falling by 25-30% are also gradually recovering.The current correction in some quality mid-cap stocks is providing some good opportunities to enter at reasonable valuations. FIIs which were net sellers in April-June turned net buyers in July 2018 to the tune of Rs.490 cr. With crude & INR-USD stabilizing at current levels & a sharp correction in broader equity markets in India FIIs have again started investing. The trend has continued in August with net inflows at Rs.1469 cr till 9th August 2018. The domestic MF industry’s AUM in July 2018 stood at Rs 23.05 lakh cr, compared with Rs.19.96 lakh cr a year ago & Rs.22.86 lakh cr in June. India’s retail investors appear undeterred by volatility and the general underperformance of small and mid-cap stocks since the beginning of this year. Equity-oriented mutual fund schemes added Rs.8,512 cr in July. After the imposition of a 10% dividend distribution tax (DDT), inflows into balanced funds continued to fall and touched Rs.287 cr. Income funds continued to see outflows of Rs.7,950 cr in July because of hardening rates. In the last three months, income funds have seen outflows of Rs.51,500 cr, as investors moved from duration funds to accrual funds and FMPs. Gold price fell to its lowest level in a year in July down 7.2% from April, when it reached a 20-month high. Gold prices are currently hovering around $1,210/oz. An increase in US T-Yield & strong USD is expected to be bearish for gold over the next few months as investors flocked for US bond. Gold demand has picked up over the last fortnight partly due to low prices & partly due to increased US-China trade war talks. Oil prices edged lower, easing on persistent supply concerns as Russia increased production in July and Saudi Arabia cut the price of crude for its Asian customers. Oil prices were also pulled down by concerns that the escalating trade dispute between the USA and China would stall economic growth and fuel demand. China has said it was prepared to impose new tariffs on $60 bn worth of US goods if Washington ups the ante in the escalating US-China trade war. President Donald Trump had previously threatened to raise tariffs on $200 bn worth of Chinese goods. The US already imposed 25% tariffs on $34 bn in Chinese goods in early July, with another $16 bn to be targeted in coming weeks, drawing an in-kind retaliation from China. Washington unveiled a list of another $200 bn in Chinese goods, from areas as varied as electrical machinery, leather goods and seafood, that would be hit with 10% import duties. But Trump raised the stakes last week by asking the US Trade Representative to consider increasing the proposed tariffs on the $200 billion worth of goods to 25%. The Reserve Bank of India (RBI) resorted to a back-to-back interest rate hike for the first time in almost five years. The central bank’s six-member monetary policy committee on 1st August 2018 raised policy rates by 25 bps to 6.5%. This was primarily to curb inflation partly due to a 150% hike in kharif crop MSP, high crude prices & pre-empt a rout of the rupee as the global trade war escalates. The committee also voted to keep its policy stance neutral, keeping its options open for further rate hikes. A day later the FED kept is rates unchanged at 2% but indicated towards a possible rate hike in September. Wholesale price-index (WPI) inflation decreased to 5.09% in July from 5.77% in June due to lower food prices and primary goods. The expenses on primary articles, which constitute 22.62% of the WPI’s weightage, inched up by 1.73% from an increase of 5.30% in June. Similarly, the prices of food articles which has a weightage of 15.26% deflated by 2.16% from a rise of 1.80% last month. However, the cost of fuel and power category, which commands a 13.15% weightage, increased at a faster pace of 18.10% from a growth of 16.18%. India’s consumer price index (CPI) inflation decreased to a nine month low of 4.17% in July from 5% in June due to easing food prices. Food inflation was 1.37%, compared to 2.9% in June, due to deflation in vegetables & pulses. Fuel and light inflation stood at 7.96% in July compared with 7.14% in June. The Nikkei Manufacturing Purchasing Managers’ Index, decreased to 52.3 in July from June’s 53.1. The index has now held above the 50-mark that separates growth from contraction for 12 straight months, indicating the economy was on a reasonably solid footing. The services sector expanded at a 21-month high in July. The Nikkei Services PMI rose from 52.6 in June to 54.2 in July, as new businesses rose at the fastest rise since June 2017. The Nikkei India Composite PMI Output Index, which maps both the manufacturing and services sector, rose from 53.3 in June to 54.1 in July. Index of industrial production (IIP) grew at its fastest pace in five months at 7% in June 2018 as against 3.9% in May on the back of a lower base last year due to destocking by businesses ahead of introduction of the Goods and Services Tax (GST). This may provide a favorable base over the next few months. Consumer goods, which was the worst affected sector in the run up to the introduction of GST, grew at a 21-month high of 13.1% while capital goods maintained a positive growth rate at 9.6%. However, consumer non-durables continued their dismal performance, growing at 0.5%, reflecting poor rural demand. This is expected to change with the IMD predicting favorable distribution of rainfall during August and September. According to SIAM, passenger vehicle (PV) sales in India dropped 2.7% in July over a year-ago period. The decline came on the back of a high base of last year when dealers re-stocked inventory post-GST implementation. The high base impact of last year was, however, less pronounced in the two-wheeler segment. Motorcycles volumes increased 9.67% to 11 lakh units over the year ago, scooters grew at a slower rate of 5.12% y-o-y to 5,98,976 units. Commercial vehicles sales continued to grow at a healthy rate of 29.65% y-o-y to 76,497 units. The impact of new axle load norms will be more visible in the coming months as production schedule of manufacturers would not have been altered in July. GST collections for the month of July stood at Rs.96,483 cr vs Rs.95,610 cr in June. The numbers, though healthy and growing, fall short of government’s monthly estimates. According to the 2018-19 Union Budget, the monthly average was expected to be Rs.1.15 lakh cr, though experts believe it could be difficult to meet this target. The GST collection for May was slightly better than April numbers, at Rs. 94,016 cr. Until 30th July, more than 55 lakh GST returns were filed for June. As per IMD, around 39% of the 681 districts in the country have received deficient rainfall, while showers have been normal in remaining 69% in this monsoon season from 1st June to 9th August. The IMD, in its second seasonal forecast, said rains in August and September would be ‘normal’ at 95% of the Long Period Average (LPA). The prediction came days after private weather forecasting agency, Skymet, predicted ‘below normal’ rains in the remaining two months of the southwest monsoon season. Q1FY19 results have been coming out over the last month. Among key trends visible from the results declared so far are that consumption recovery continues with most of the FMCG companies highlighting rural outperformance vs. urban. Within banks, private banks have seen some margin pressures while PSU Banks have reported moderation in fresh slippage generation. NBFC’s post another quarter of healthy core performance. Auto companies have missed profitability estimates led by RM cost pressures and lower other income while demand outlook remains healthy. In IT the demand is showing gradual improvement with continued outperformance of Tier II companies vs. Tier I. Cost pressures have marred the profitability of cement companies even as volume growth remains in line. Shares of HDFC AMC which got listed on 6th August surged 68% during their trading debut, in what was the best listing-day performance since Avenue Supermarts last year for an IPO of more than Rs.1000 cr. Shares of the asset manager ended at Rs 1,815, up Rs. 715 or 65%, over the issue price of Rs 1,100/ sh. Midcap stocks which had taken a hammering over the last few months are currently consolidating at lower levels. Some quality midcaps & some large caps are at a quotational loss with no apparent problem in the companies. This euphoria could be a good opportunity to make some money in midcaps stocks which have fallen sharply & we expect to bounce back partially due to a feel good factor of NIFTY being above 11k. SIP inflows remain strong & with FIIs turning net buyers supporting strong DII flows, markets are touching new highs. Government borrowing/fiscal deficit is a concern & with a 150% MSP on kharif crops & crude above $70/bbl inflation is unlikely to decline much. With two consecutive rate hikes by RBI & elections coming next year further rate hikes in the near term is unlikely. Economic indicators have been positive this month & are likely to remain good over the next few months due to a favorable base of last year post GST implementation. Q1FY19 results have largely been better than or in line with expectations with the exception of stocks like SBI banks & Tata Motors amongst others. With a correction in broader markets expectations have also tapered down. Though the major indices are touching all-time highs, it has largely been due to a few stocks only & broader markets, especially mid-cap stocks remain subdued. This is providing a good opportunity to enter quality midcaps at reasonable valuations. One should accumulate good quality companies where there is a long term structural story in place.